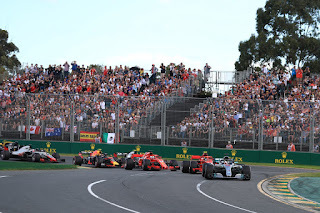 As mentioned a few days ago the F1 Grand Prix race reviews that I contribute to motoring website Motor Verso will have a slightly different format this year. They will all be collated in a single 2018 F1 summary article, which we'll add to race by race, to give us a grand review of the season by the year's end! And since I flagged the article a few days ago we've added a few more details, such as an explanation of main changes since 2017 as well as video explanations of the halo and how Sebastian Vettel got ahead of Lewis Hamilton in the Australian Grand Prix.